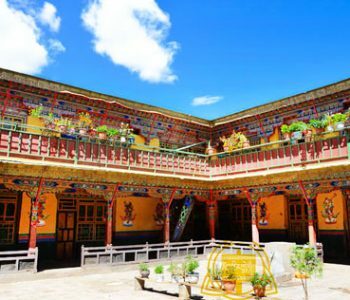 Shalu Monastery locates only 22 kilometers south of Shigatse in Tibet. 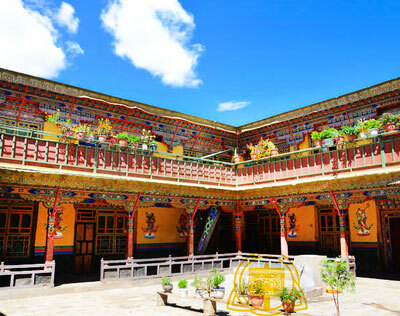 It was constructed in the 11th century by Jetsun Sherp Jungne of Shangshung and later expanded in the 15th century by Gongpopel, Drakpa Gyeltsen and Buton Rinchendrup. 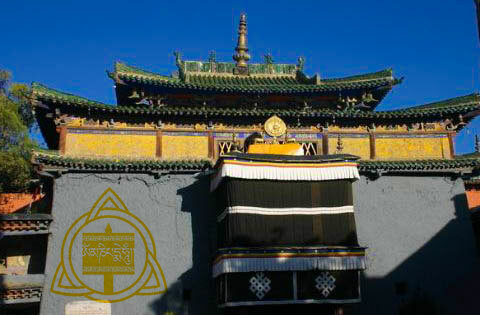 This monastery was designed in a great combination of both Han and Tibetan styles. 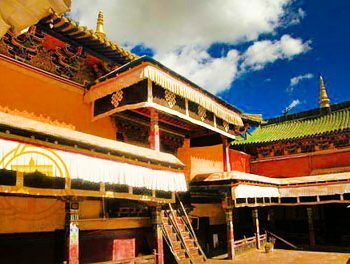 During the Cultural Revolution, this original Tibetan-style monastery was largely destroyed. However, the Chinese style inner Serkhang has reserved relatively well. Travelers come here to enjoy the murals that were created from the 14th century with the combination of Chinese, Newari and Mongol styles. 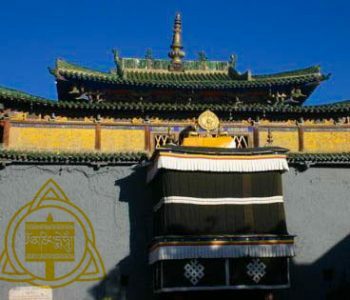 There are four religious treasures in Shalu Monastery, namely sutra board, a holy jar, a stone table, and a huge stone. The first one is a passage of sutra being printed on a board for 700 years, people believed that it can bring good luck to human beings. The holy jar was made of brass that covered and sealed by a piece of red cloth. There are water in the jar and people said this water is the purest one, which renewed every 12 years, can cure hundred diseases and clean all the dirty stuff. The third one, stone table, inscribed with six characters. There are four small pagodas on its edges. The last one is a basin-like huge stone. The living Buddha Jigzun Xerab Qoinnai was used to wash his face with this stone basin. 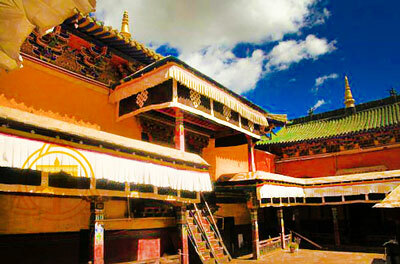 Nowadays, Shalu Monastery has become an essential attraction for travelers.